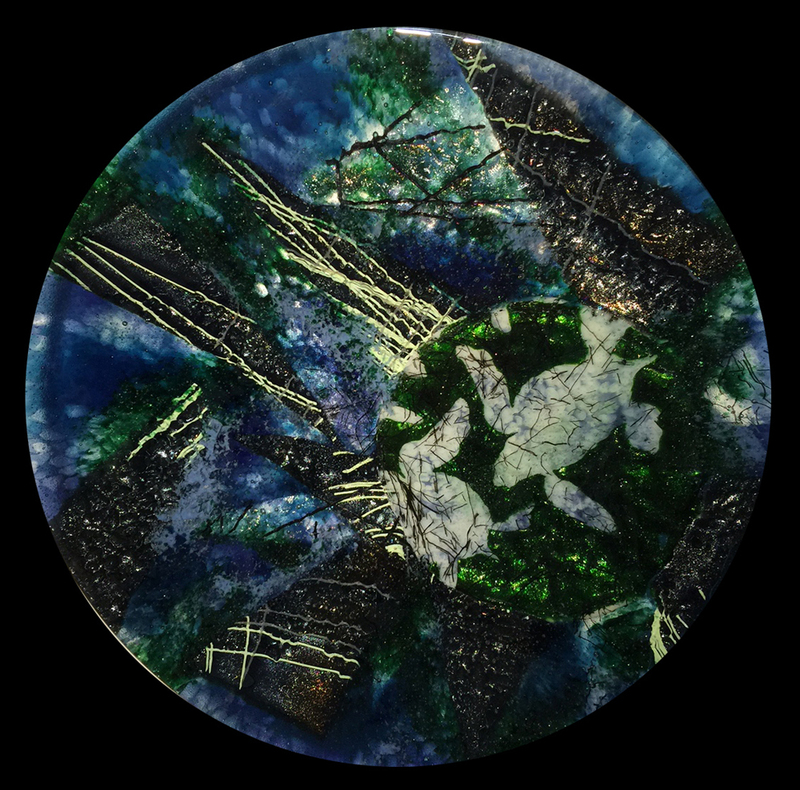 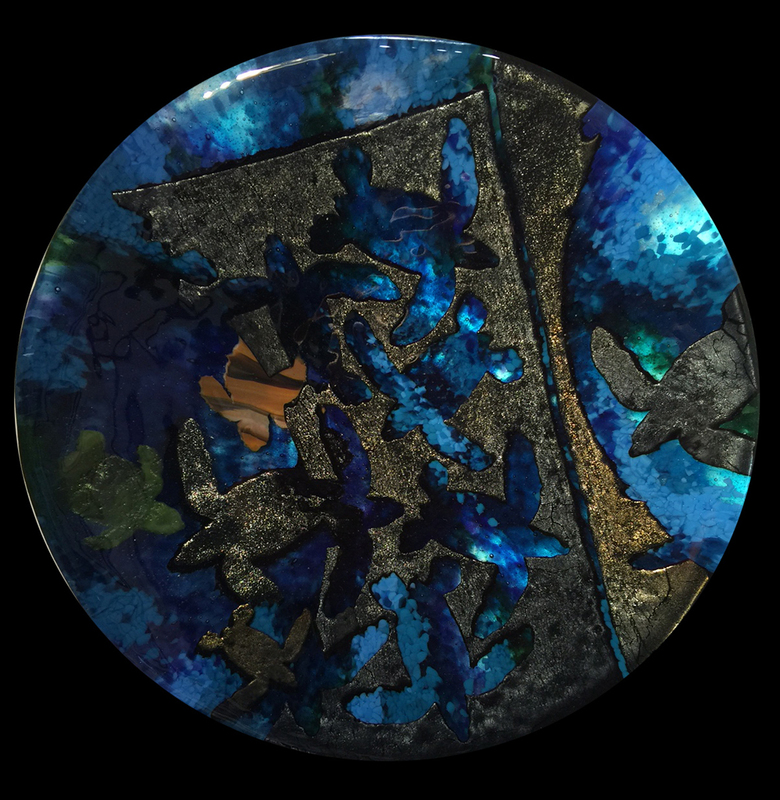 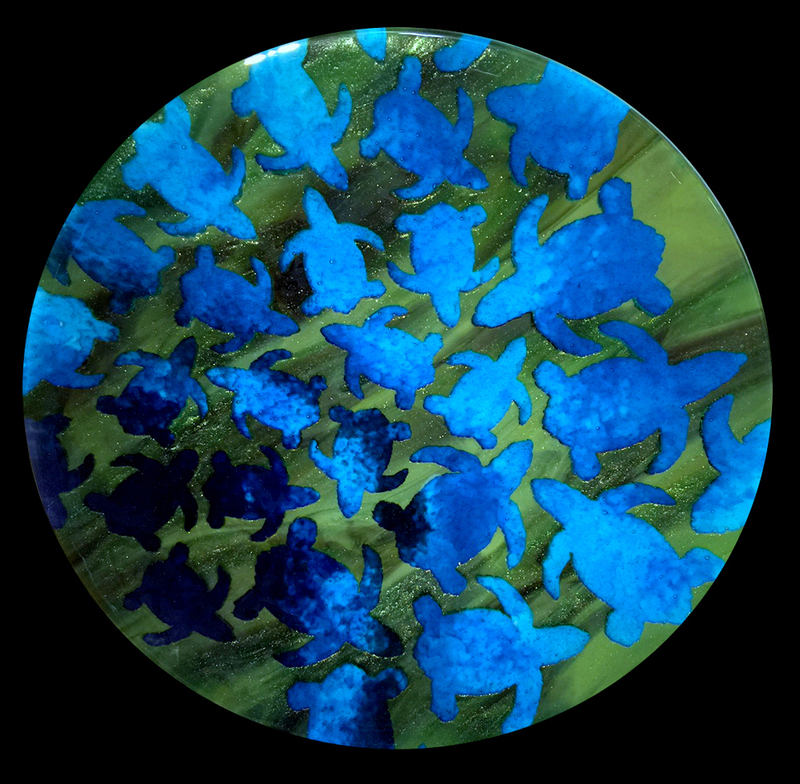 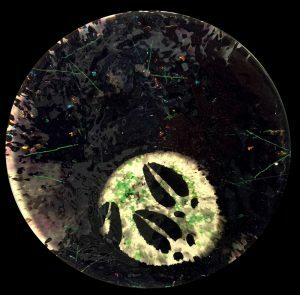 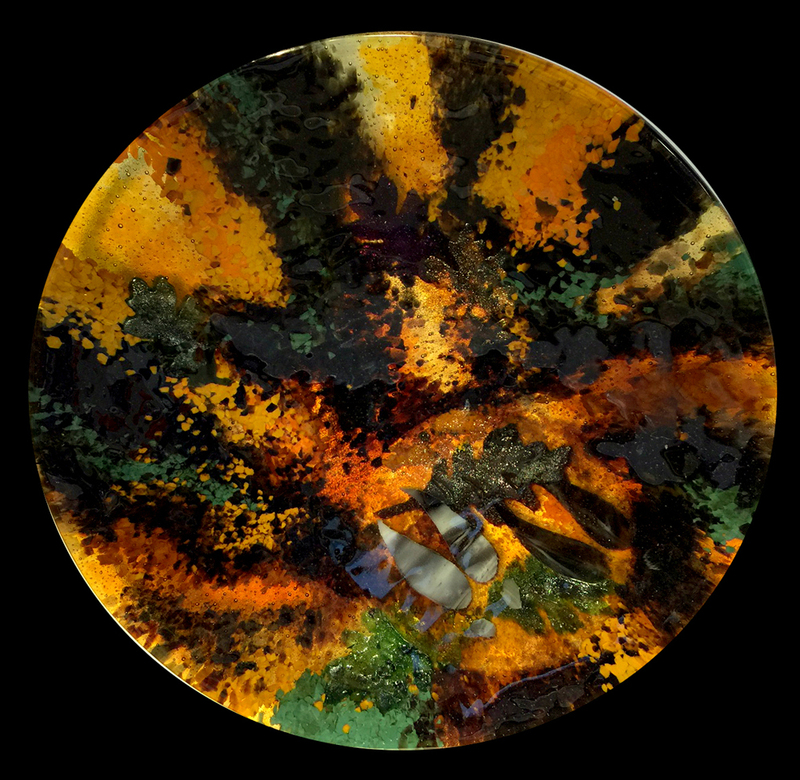 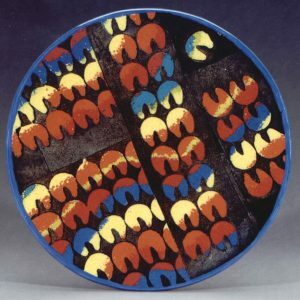 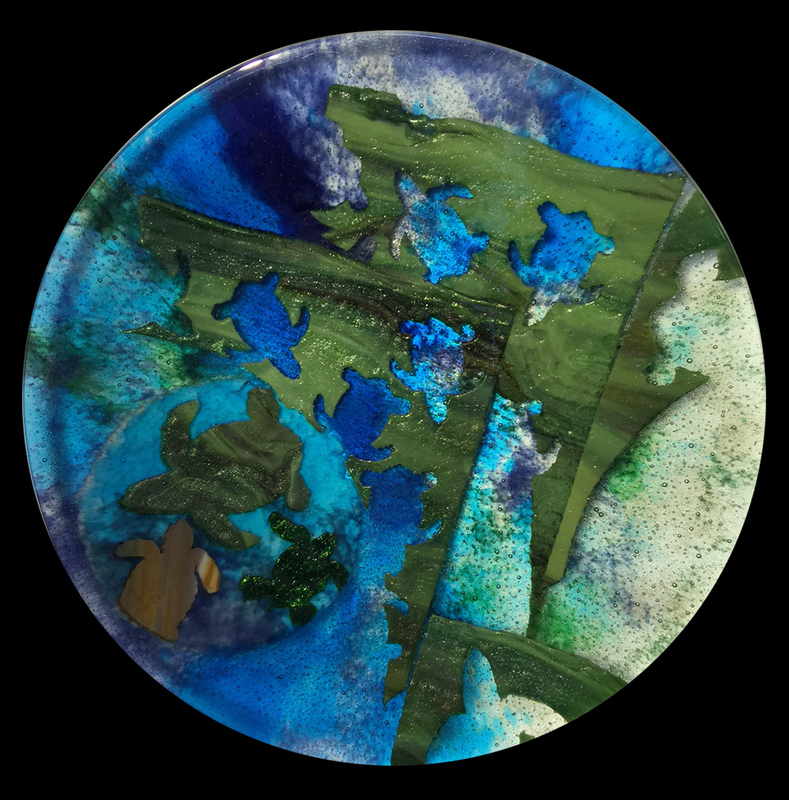 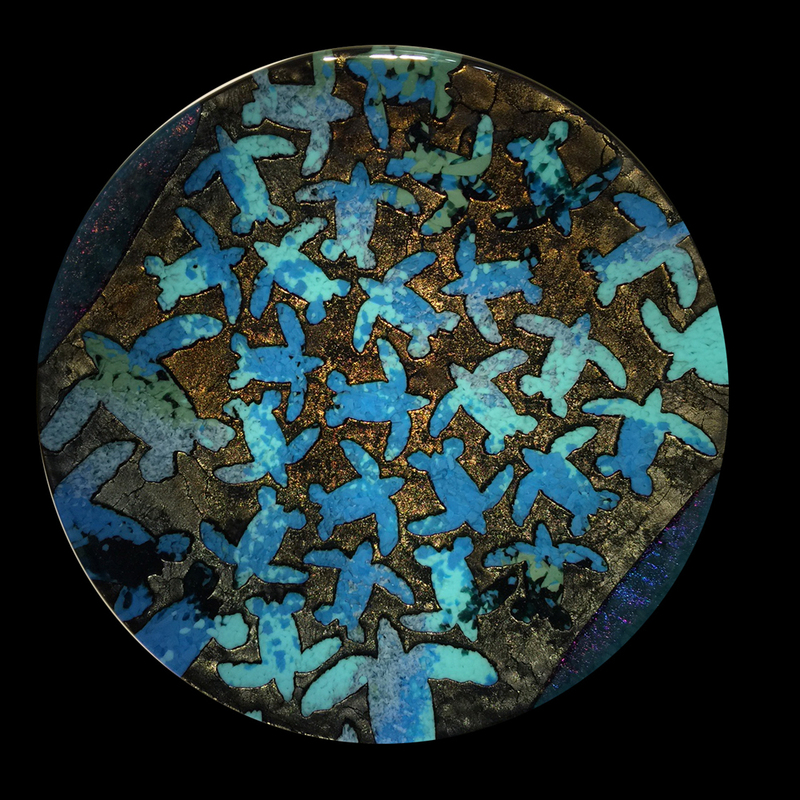 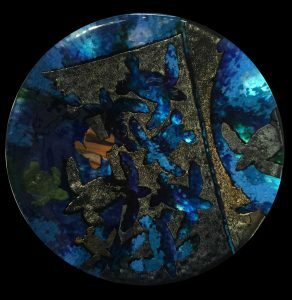 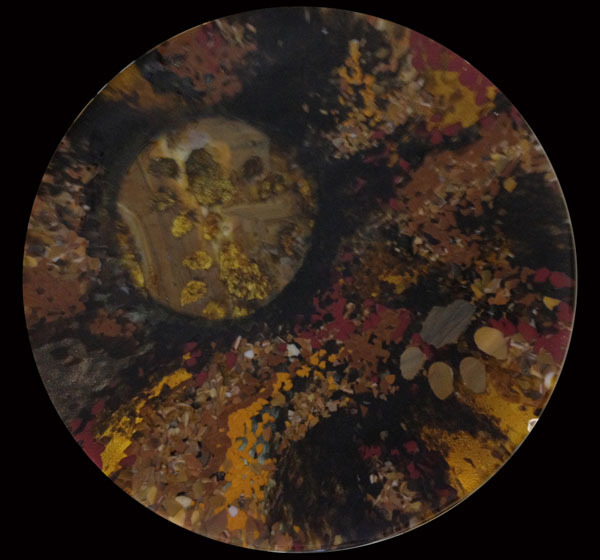 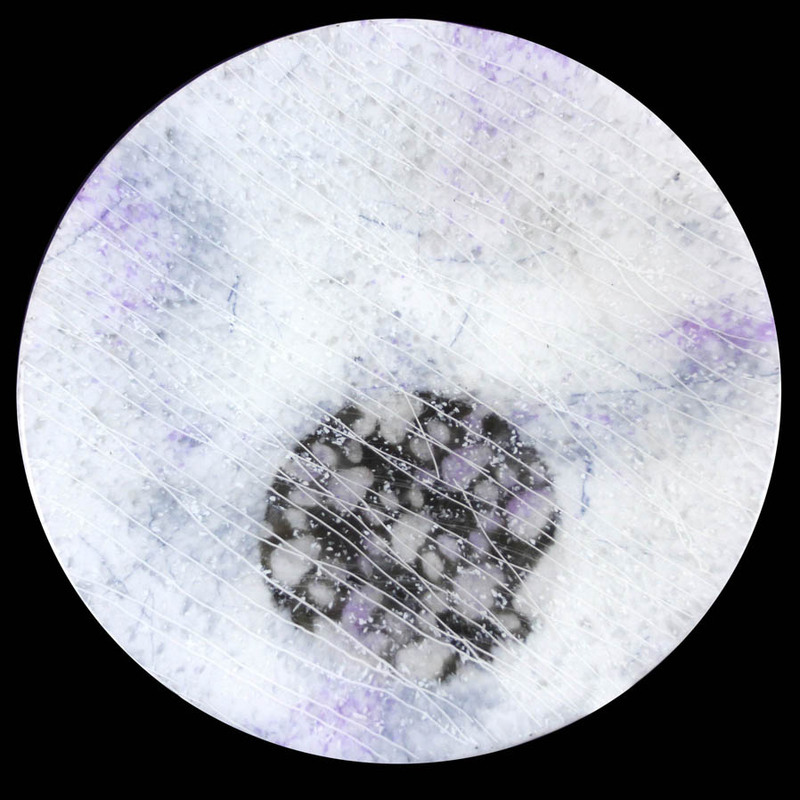 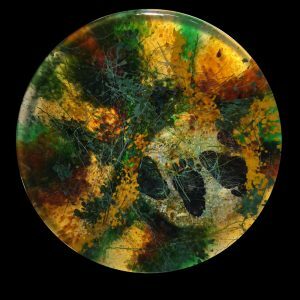 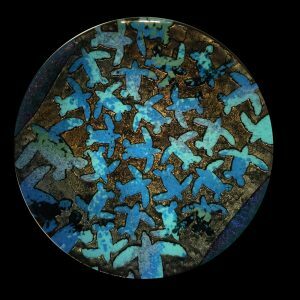 These glass disc are production pieces depicting abstract scattering of animal tracks or sea turtle silhouettes. Disc range from 17 to 20 inches in diameter. 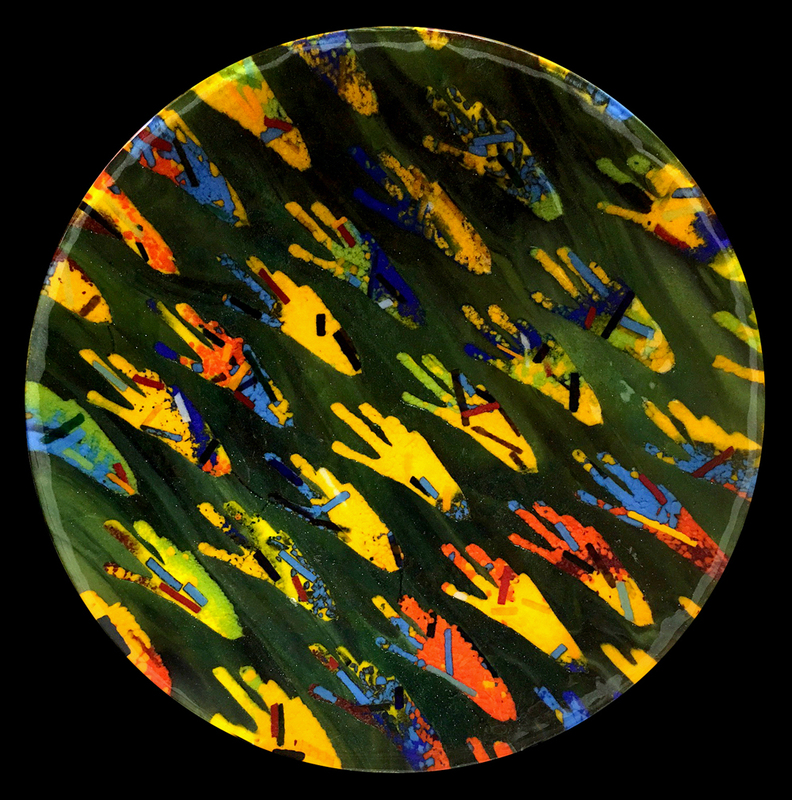 Each disc is individually made and the disc image you see is a sample of the discs that are available. 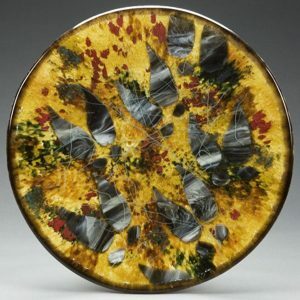 If the one you like has sold then a similar one can be created but will not be exactly like the one seen in the photograph.